The Global Movement for Budget Transparency, Accountability and Participation (BTAP) was initiated through its first Global Assembly held in Tanzania at the end of 2011. BTAP believes that “transparent and inclusive budgets are a key piece to improve service delivery, poverty alleviation, the realization of human rights, social justice, and environmental sustainability.” Currently, the independent movement encompasses more than 150 civil society organizations in over 60 countries. BTAP takes a stance on including citizens, especially marginalized citizens, in the budget decision process since they “are entitled to know and influence what governments are doing on [their] behalf, in [their] name, and with [their] money.” Therefore, the movement not only underlines the importance of transparency and accountability, but also on participation. An open public and inclusive budget is seen to be necessary in order to achieve the enjoyment of human rights – civil, political, social, economic, cultural and environmental rights. Budget processes must be inclusive, ensuring open and ample opportunities for all citizens to fulfill their right to know about, participate in, and influence all decisions with regard to the collection, allocation and management of public funds. 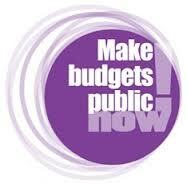 Budgets must be raised and spent efficiently, effectively, and equitably and must ensure that public resources achieve the greatest impact possible, in the elimination of poverty and the achievement of equity. Budgets have to be regularly and consistently reported against by all levels of government. Budgets must be the object of permanent monitoring, oversight and accountability by legislatures, internal and external audit institutions, the media and citizens. To achieve their goals, BTAP not only includes and addresses the governments of the national and subnational level, but calls upon the legislature, public audit institutions, the media, international government institutions and citizens and civil society representatives as well. They all are seen to bear responsibility to contribute to a transparent and open budget and thus to the realization of human rights. The second working group aims to “achieve government compliance with the obligations in article 2 of the International Covenant on Economic, Social and Cultural Rights (ICESCR) as they relate to a government’s budget.” The ICESCR is part of the foundation of international human rights law, which is further composed of the Universal Declaration of Human Rights and the International Covenant on Civil and Political Rights. The working group addresses the question of how governments can best raise, allocate and spend their budget so as to comply with the three human rights obligations listed in article 2 of the ICESCR. You can read more about BTAP here.